Schleich Feeding Farm Animals Set 42301 - Toys & Learning - Schleich Specialists - 100% - Fast Service - Sale Prices. This Feeding Farm Animals Set is one of the top quality hand finished products from the Schleich range of Farm Animals. 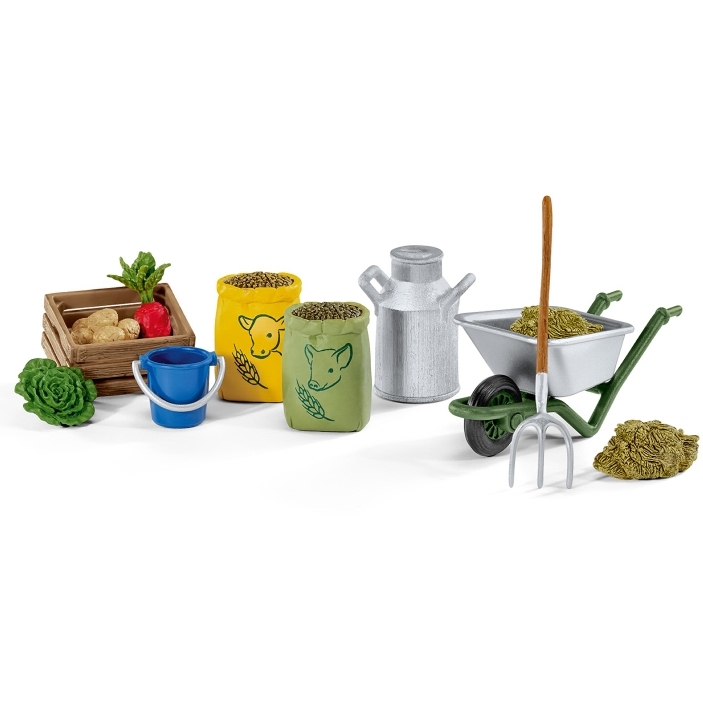 If you have animals then you must have lots of food for them so they can grow and be very healthy and happy, this feed set is ideal I love the way Schleich produce so many imaginative accessories to complement all their other products!